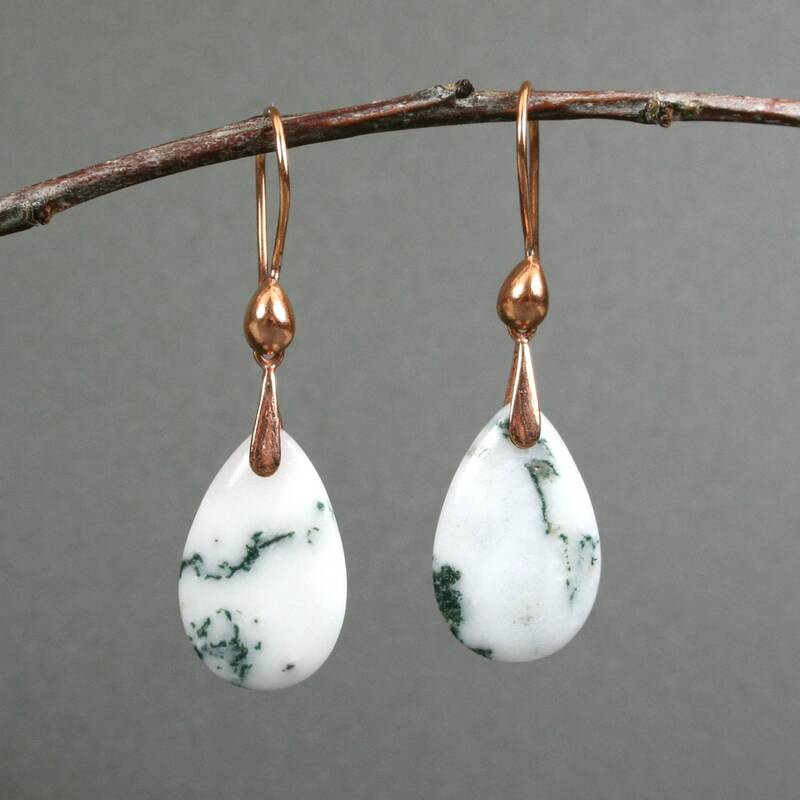 This set is made from matching tree agate stone teardrops. 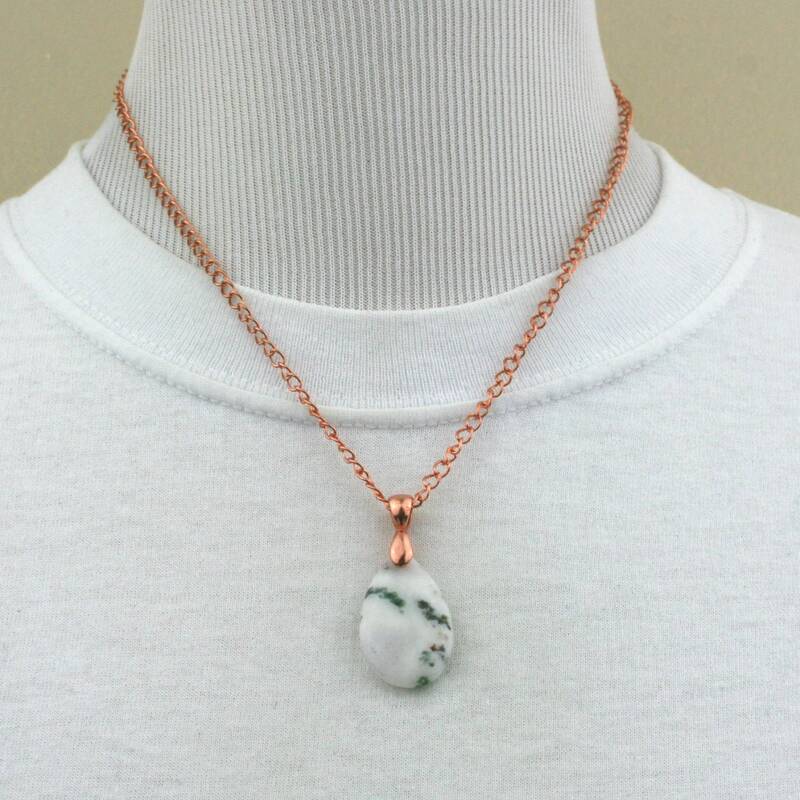 The pendant stone is approximately 31 mm long 19 mm wide and is attached to the copper chain with a red bronze bail. The chain is 18 inches long with a lobster clasp closure. 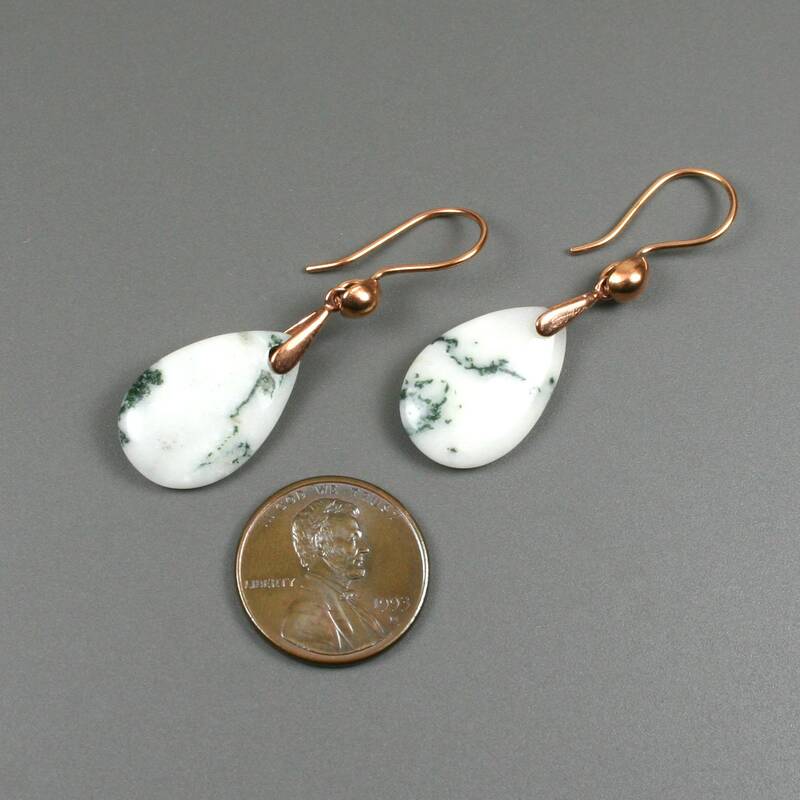 The earring stones are approximately 21 mm long and are attached to copper ear wires with red bronze bail. The bottom of the earrings is approximately 44 mm from the top of the earwires. Tree agate is a natural stone, so its patterning differs from specimen to specimen. 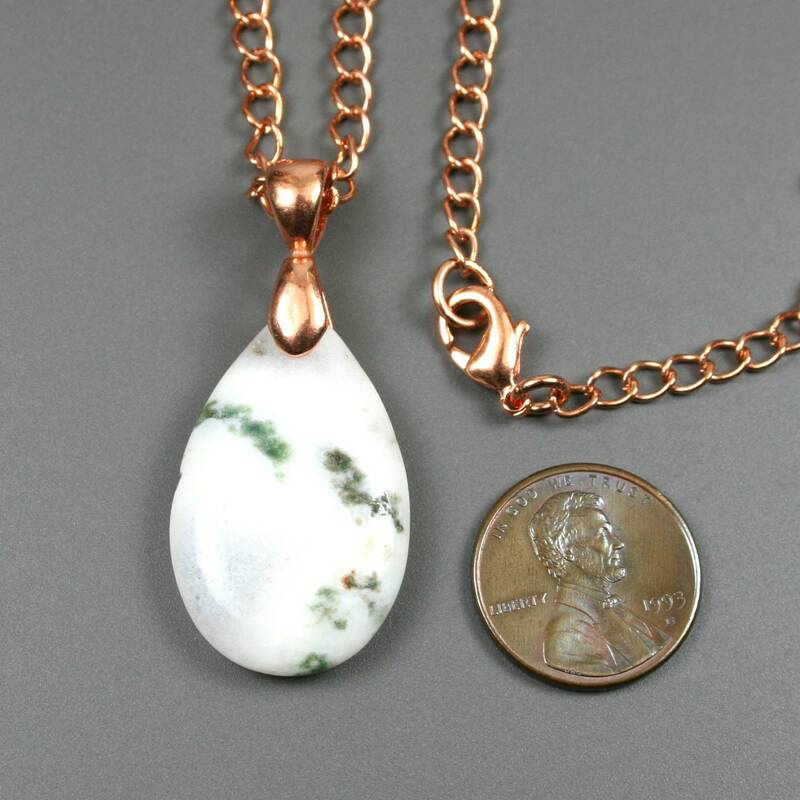 The photos shown are representative and may vary slightly from the actual set you receive due to this variation in the stones. 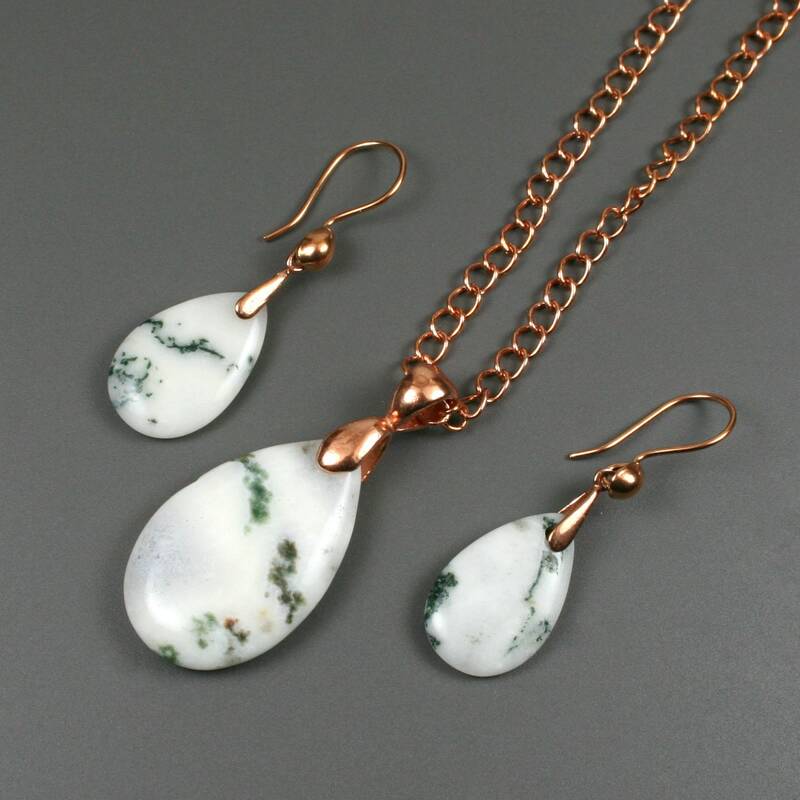 This set comes in a gift box suitable for gift giving.